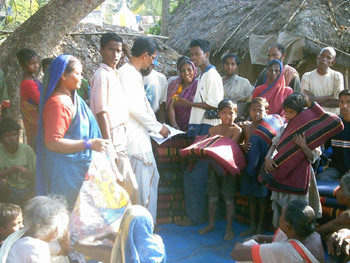 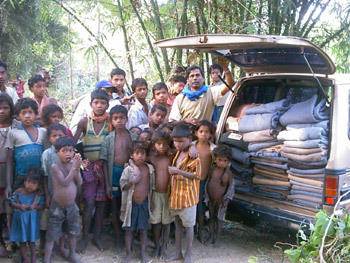 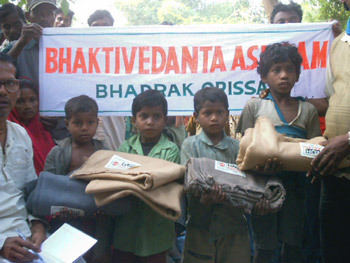 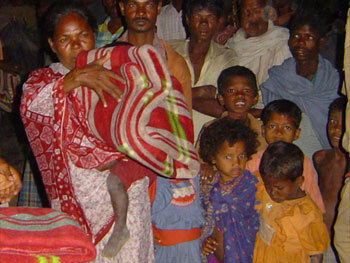 Besides distribution of free food, the Bhaktivedanta Ashram also arranges for distribution of clothes and blankets to children in the villages where we hold our food relief programs. 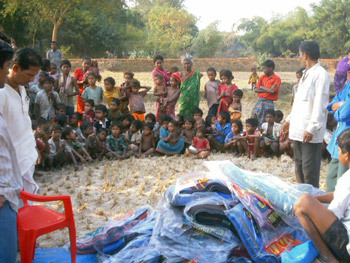 As you can see from the photos on our website, many of the children attending our food relief programs hardly have any clothes to wear. 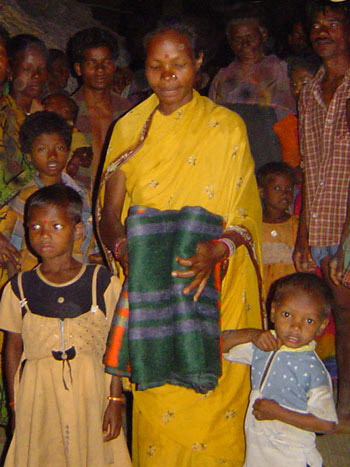 Most come wearing only an old pair of shorts. 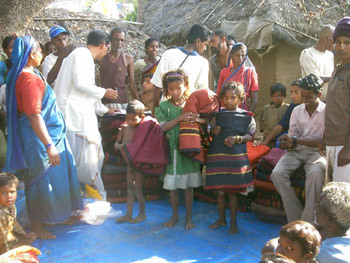 Smaller children usually don’t even have that, and often come to our programs naked. 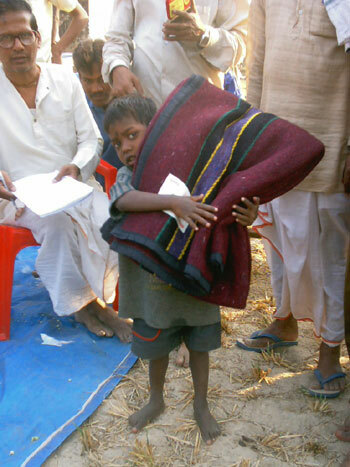 We try to arrange for clothes for all of these children, and in the winter we have a special distribution of winter blankets to help them keep warm at night. 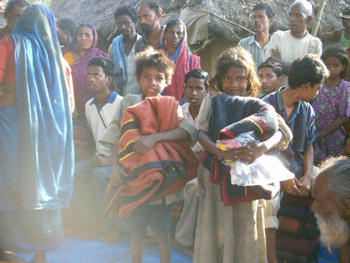 If you would like to sponsor the distribution of free clothes and blankets for these children, please use the box on the right. 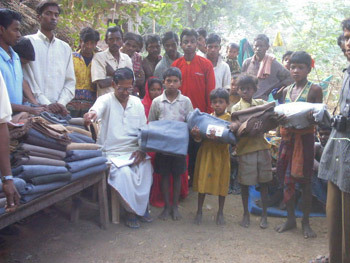 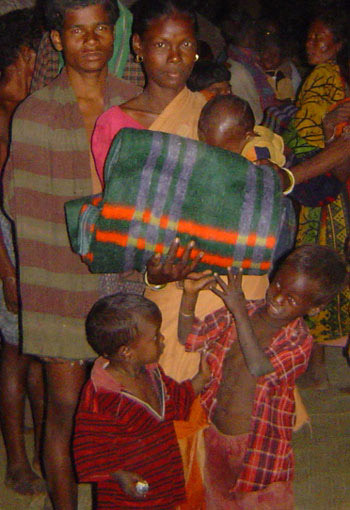 A new set of clothes will cost around $4 and a thick winter blanket costs around $10.